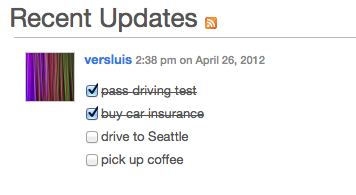 A brand new feature in P2 is the ability to write To-Do lists which have a check box in the front. 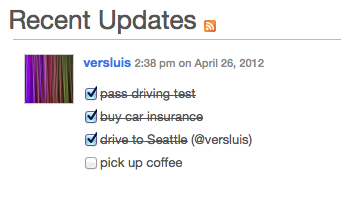 This can be ticked upon task completion and will show the user who ticked it. It’s a superb way to work collaboratively on a list and track its progress. You can of course untick those boxes at any time too and mark an item as uncomplete again. User Roles: Who can tick boxes? Subscribers and Contributors – can write to-do lists, but can neither tick their own nor other people’s boxes. Authors – can write to-do lists, can tick their own, but not other people’s boxes. Editors and Admins – can write to-do lists and can tick other people’s boxes.